One thing no one told me when Xylon was diagnosed with cancer was that we’ll never really get over a diagnosis like that. Even after Xylon had a clear scan, cancer lurks at the back of my mind. When we dream of the future there’s this cloud of cancer that hangs on the edge like a thunderstorm gathering on the horizon. These “what if’s” that are linked to the next scan, the next doctors appointment, the next simple winter cold. We’re planning on moving cities. And we try not to talk about the “what if’s” about the cloud that threatens to burst. We hope and pray that the wind will blow the storm clouds away. I’m not the only one who fears an unknown future. It’s not even something that only affects cancer survivors and their families. Have you ever been afraid to open the Bible? I have, I am…Recently on a woman’s everyone received something amazing. So did I, it’s just that I am afraid of what I got. Since then I have been afraid of reading my Bible. So I am afraid of what lies ahead. I am afraid for my kids and every day I ask that should this be my road, God, keep my kids blessed and cared for. I am so scared though and I am trying to be spiritual about it all because I know God and I know His teaching. I just never thought I would be confronted with something like this and be so afraid. She asked me what I’d think if I were in her situation. And I thought back to Xylon and I, and the fear that multiplies like unwelcome cells. I believe this because the bible says it. There’s a verse I memorized as a kid, 2 Timothy 1:7: For God has not given us a spirit of fear, but of power and of love and of a sound mind. It’s a verse Xylon and I have been praying over our fear, verse that reminds me that when God is in control I don’t have to be afraid. Because God doesn't give fear. God gives a sound mind. 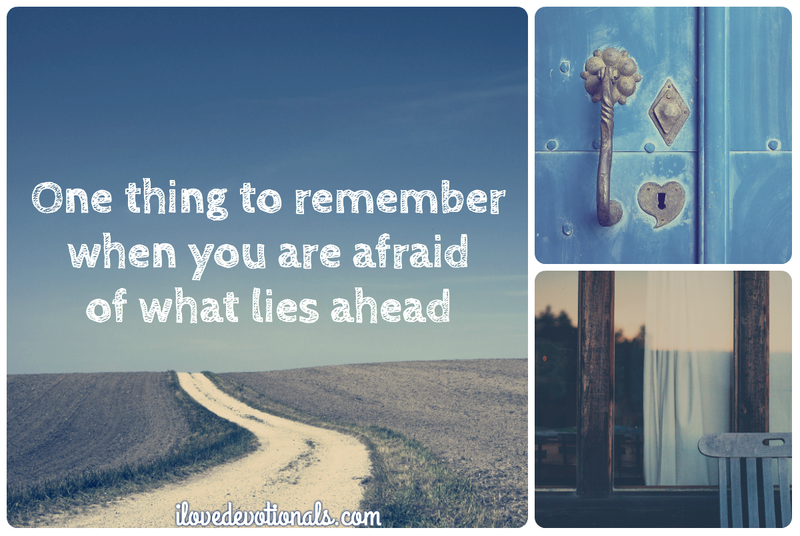 Ponder: Are you afraid of what lies ahead? How would that feeling change if you realised that God does not give fear? 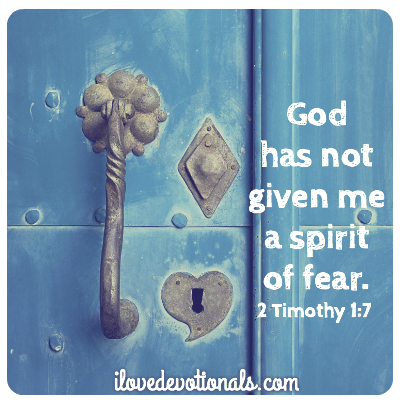 Prayer: Lord, I believe this fear is not from you. Take the fear and replace it with your love. there's no room for Love.